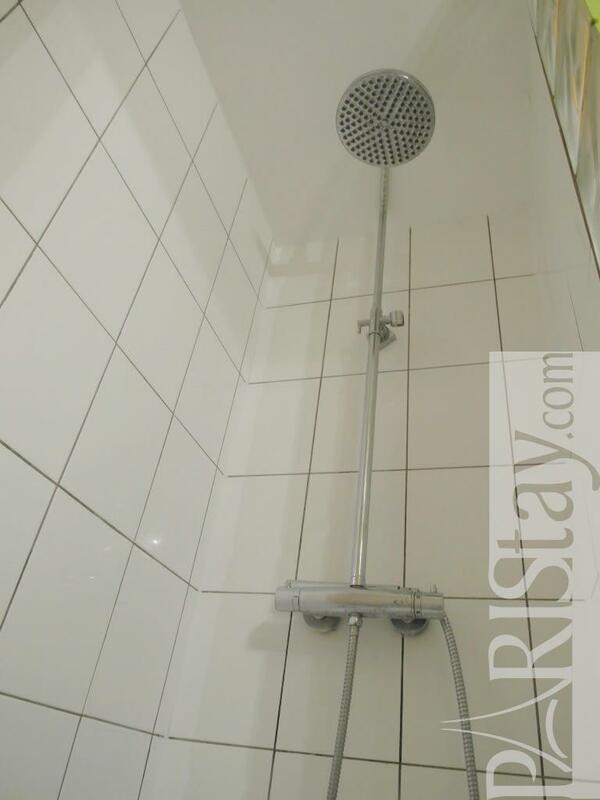 All comfort you need for a quality stay in the heart of the city. 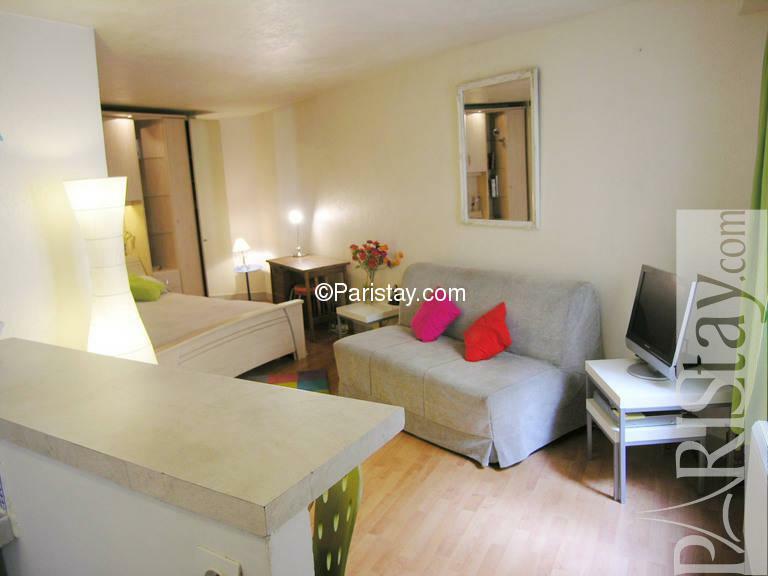 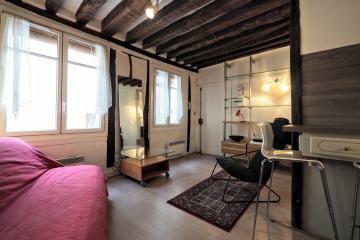 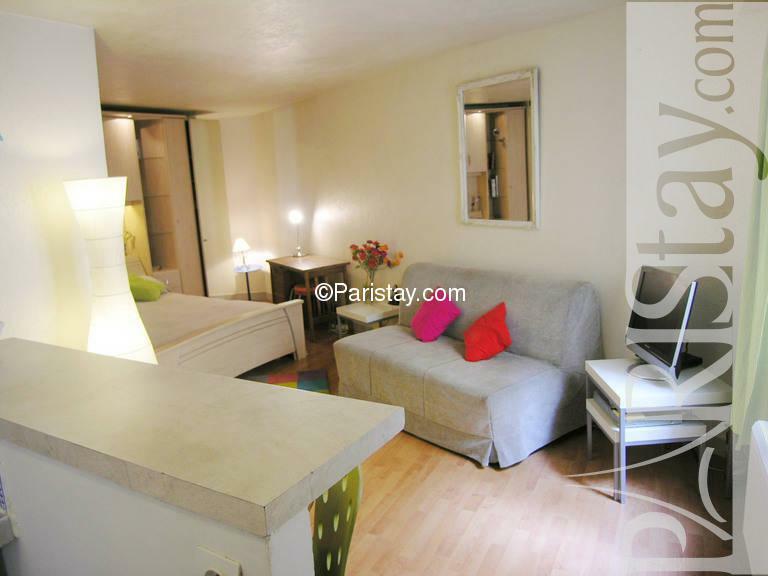 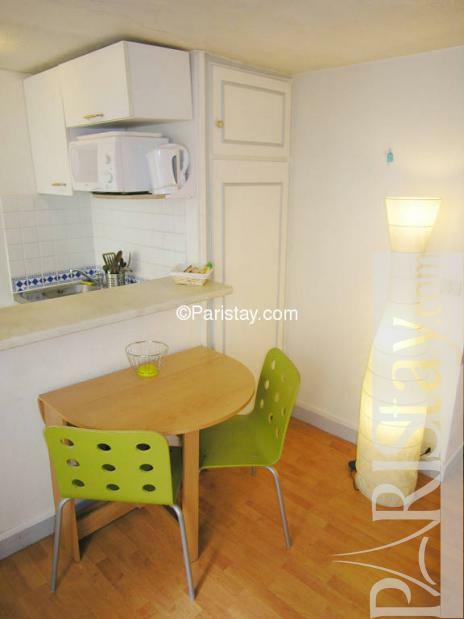 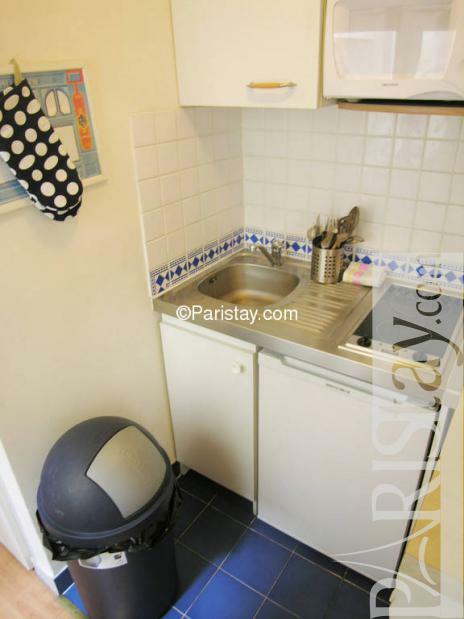 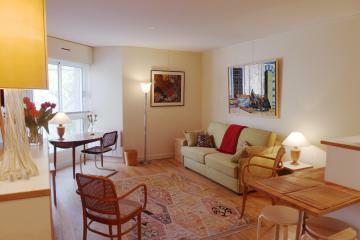 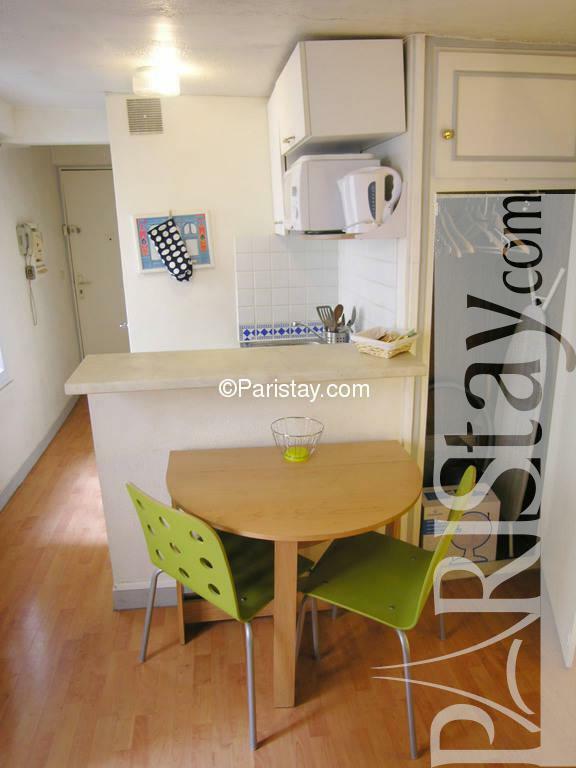 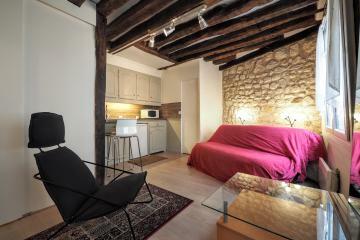 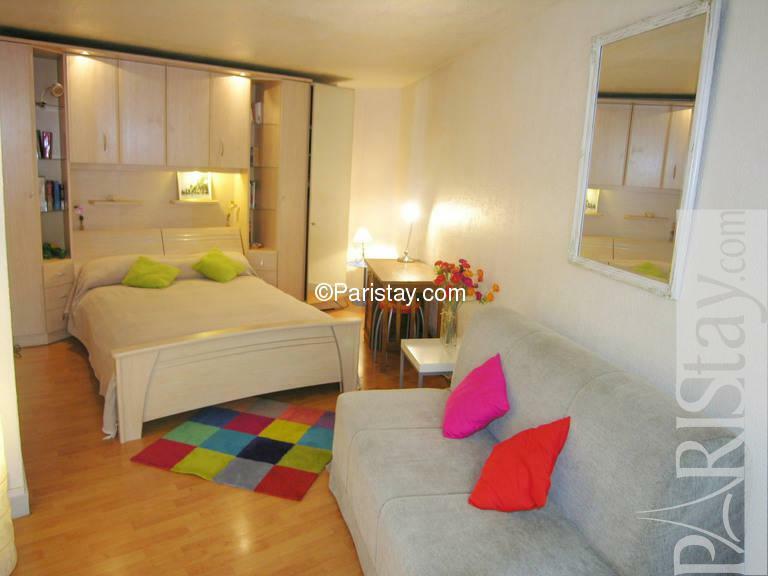 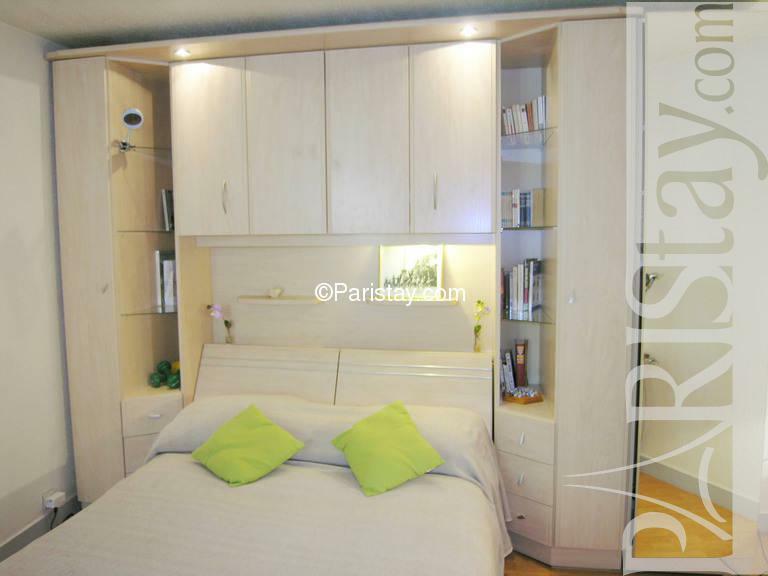 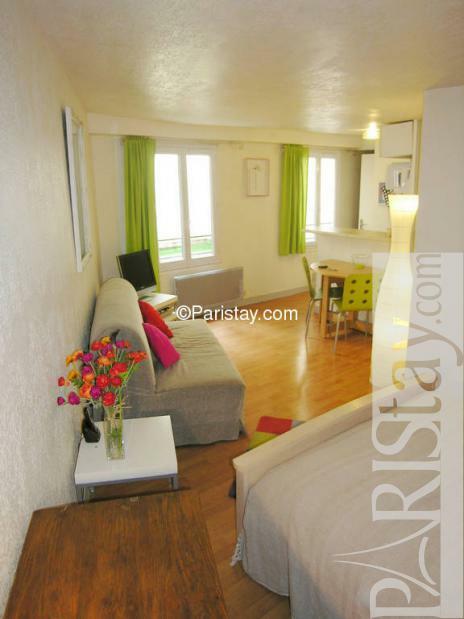 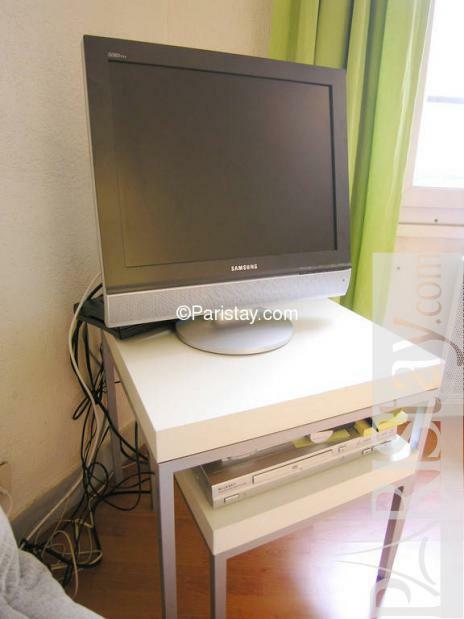 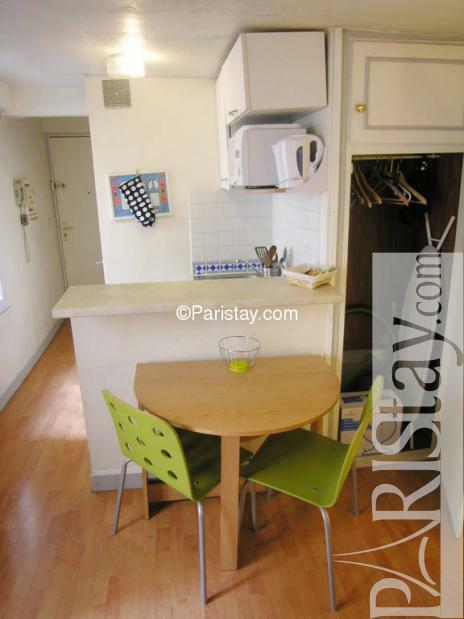 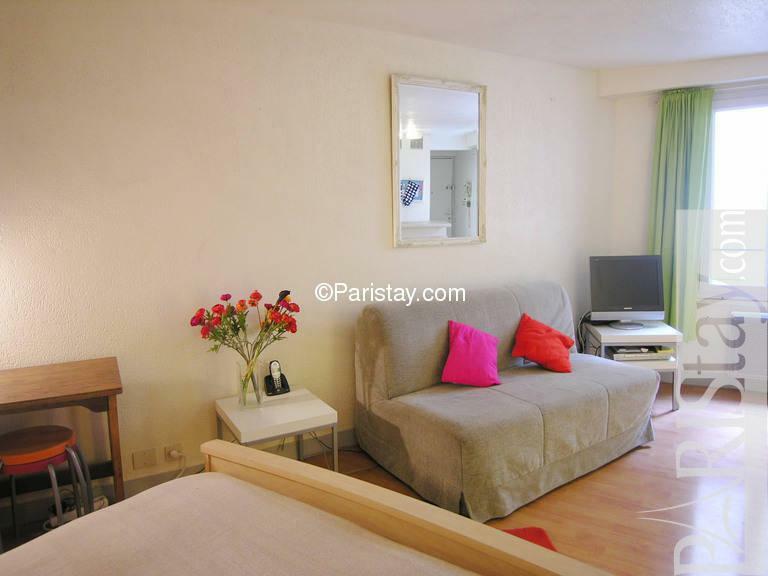 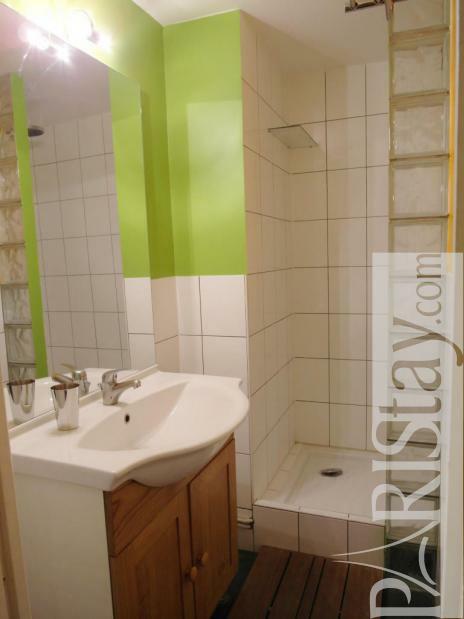 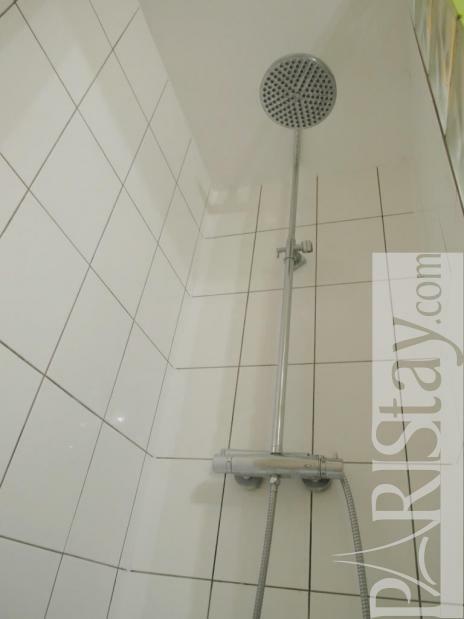 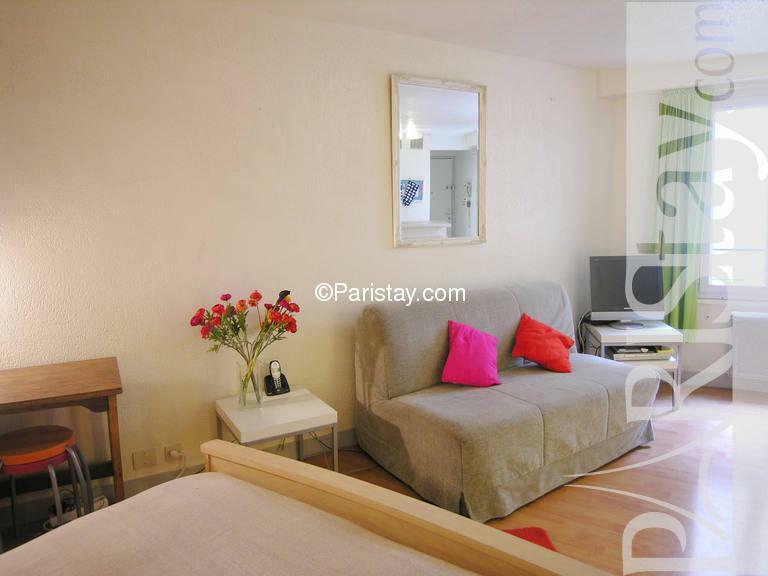 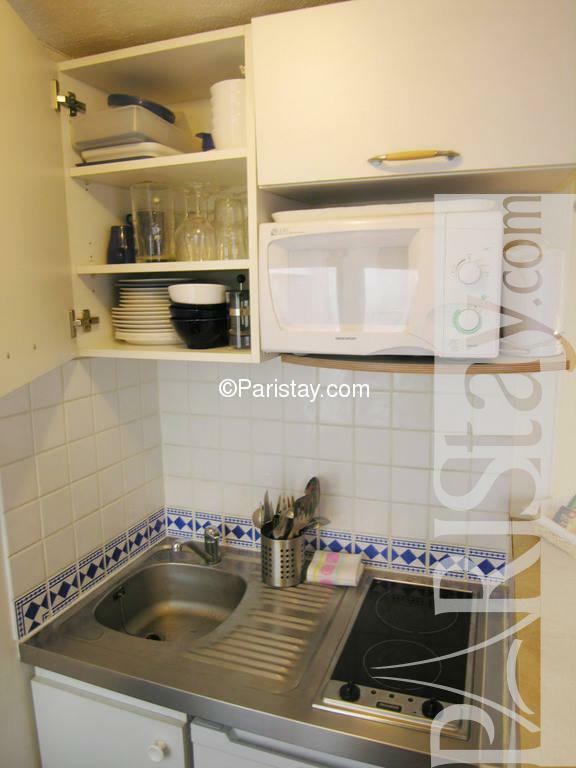 This Paris studio apartment is located next to the historical Place des Vosges in the Marais area. 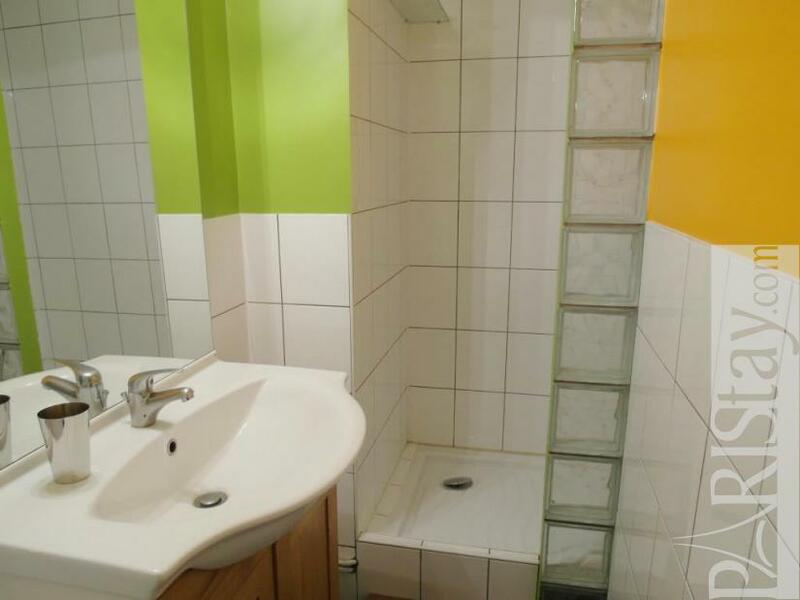 The layout is as follows: the entry gives onto a corridor which brings you to the living room/bedroom and leads to the toilet and bathroom. 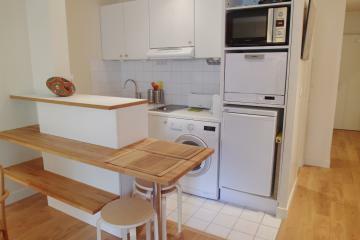 The open kitchen is situated in front of the living room. 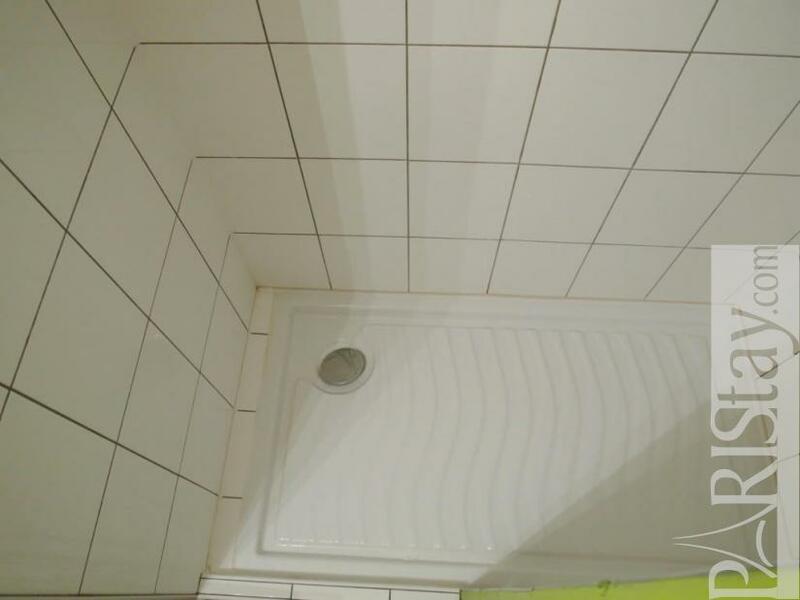 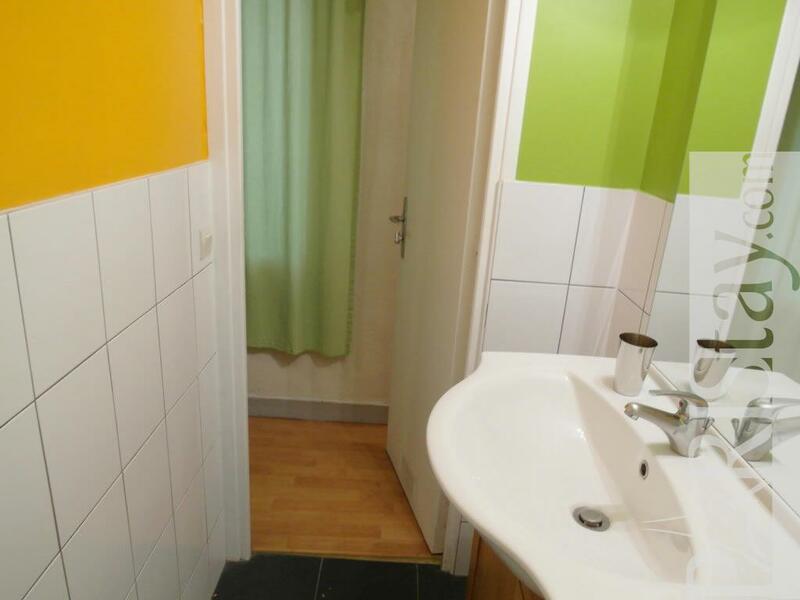 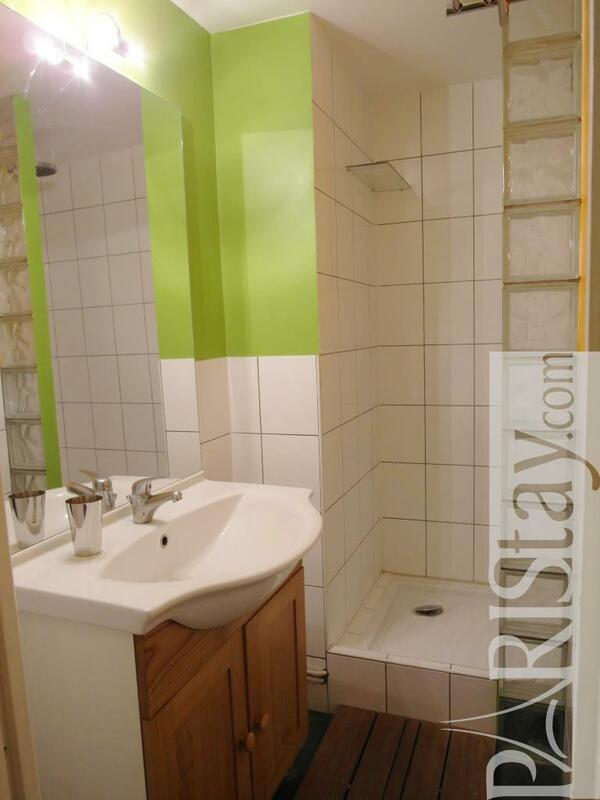 There is a parquet floor in the corridor and living room and a tiled floor in the WC, bathroom and kitchen. You will find all sorts of shops and services in the neighbourhood. 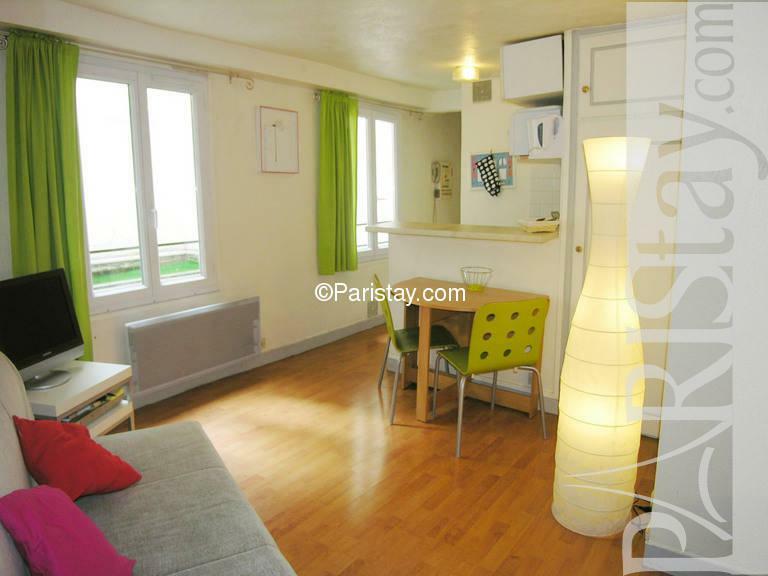 The Hôtel de Ville and Seine River are within walking distance. 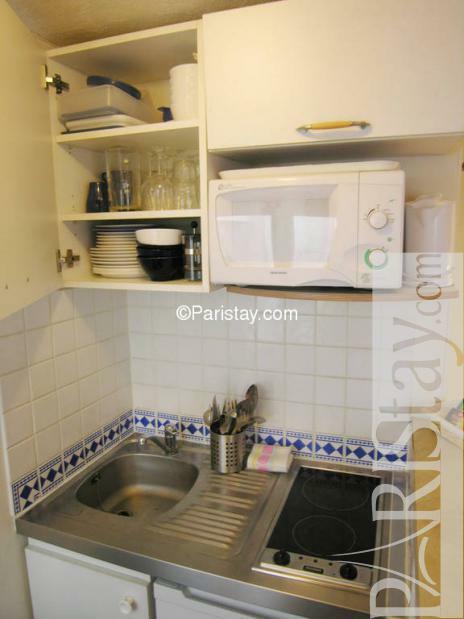 There are plenty of fishmongers, green grocers, a launderette, restaurants and cafés. 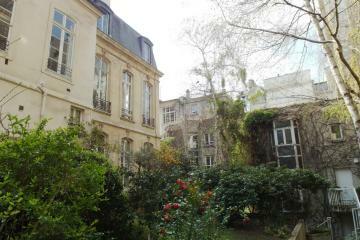 The Picasso and Carnavalet museums are just around the corner and the Pompidou Centre is a few minutes walk. 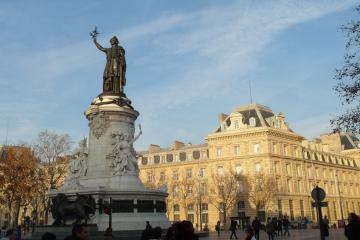 Several trendy bars and clubs have opened up on the rue Oberkampf which is also within walking distance. 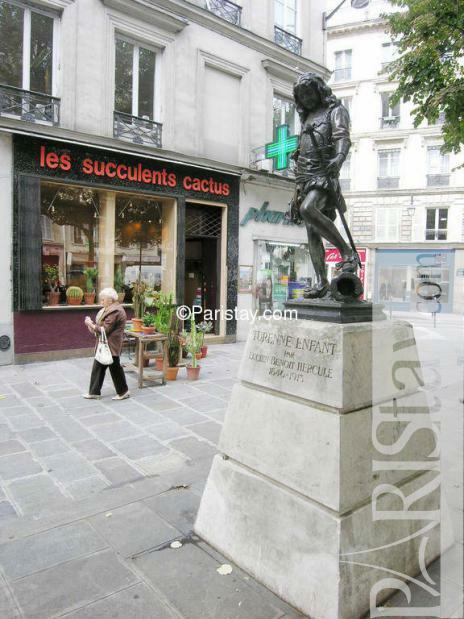 There's a great open air market, the "Marché des Enfants Rouges" down the street which you'll love. The Filles du Calvaire metro station will take you directly to the Opera and the Bastille. 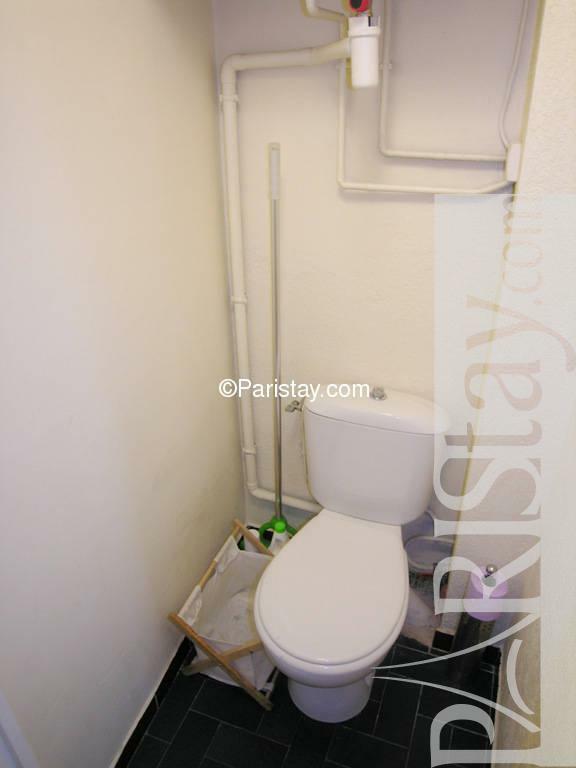 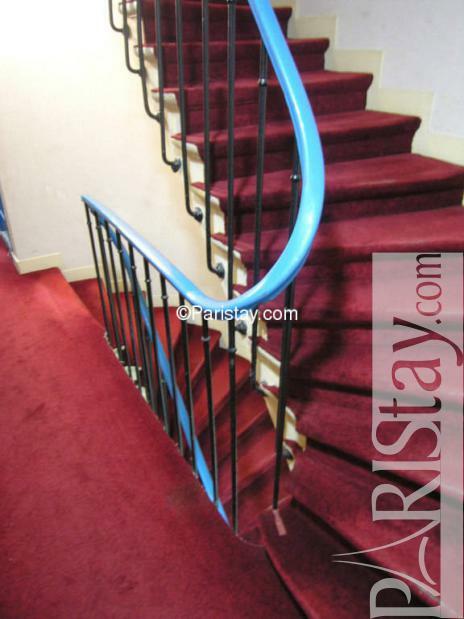 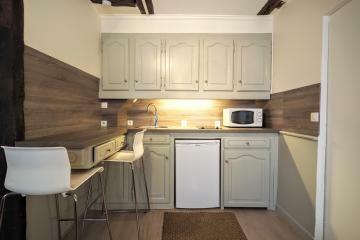 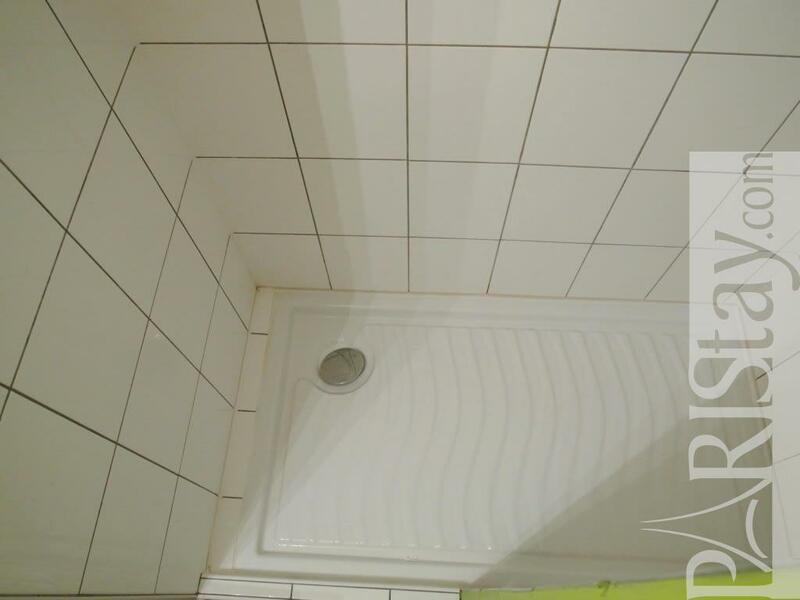 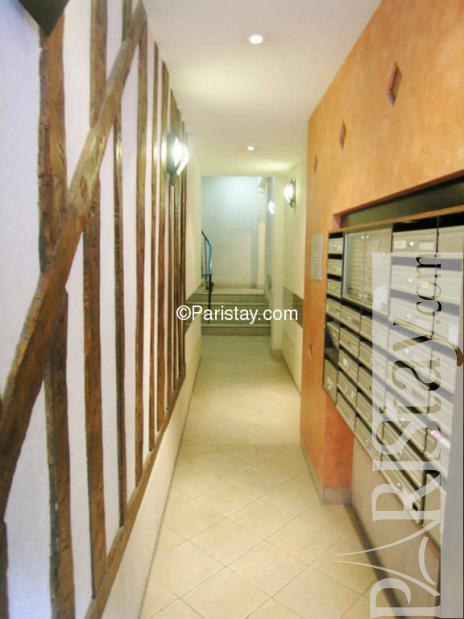 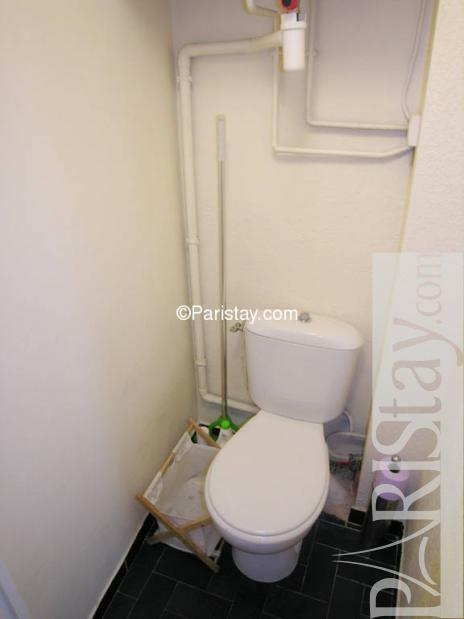 1870's Building, 2 nd floor, with Lift, entry code security system, Studio Appartement, furnished, Approx: 27m² / 290 Sq.Ft.